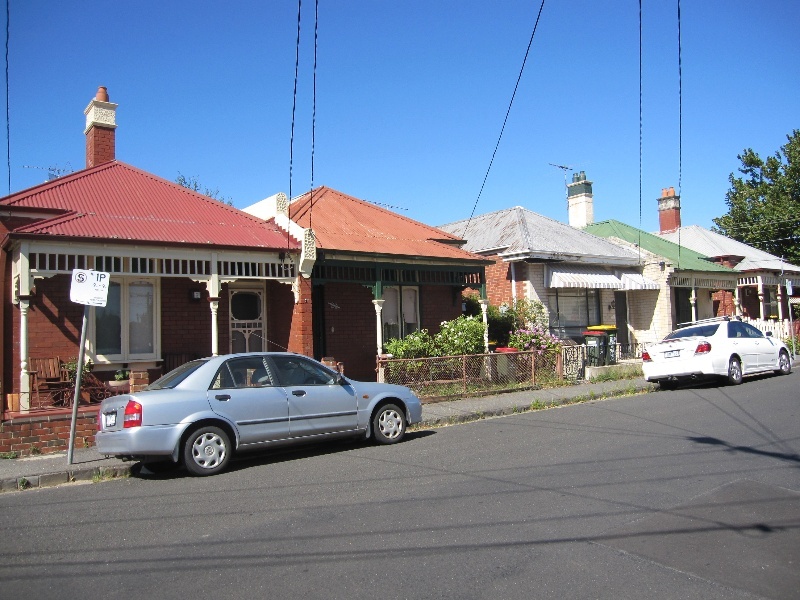 The five houses, comprising two attached pairs and one freestanding house built in 1914-15 for William Thomson, at 14-22 Sydenham Street, Moonee Ponds are significant. Non-original alterations and additions to the houses are not significant. 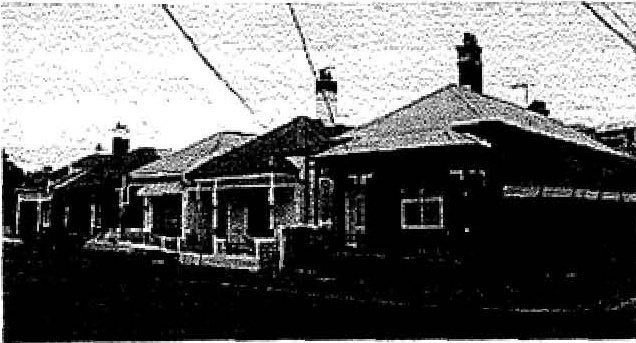 The five houses at 14-22 Sydenham Street, Moonee Ponds are of local historic significance to the City of Moonee Valley. A row of five dwellings forming two attached pairs and a single house at the street corner. They are single fronted Federation period red brick houses with corrugated iron hipped roofs extending to form turned timber posted verandahs with ladder frame friezes. Centrally placed chimneys remain on three of the houses which have later low fences. The condition of the houses is sound and the external integrity is generally high with the exception of.No.18, which is the least intact - the facade has been completed remodelled resulting in the loss of the verandah and replacement of the front window. Other changes include the overpainting of No.16 and replacement of the front window, and the loss of the chimney to No.20.